Am just working out a way of watching the game online - we all like Klopp don't we the best manager Man Utd never had. Come on you Mickey Mousers! A day of sport at DRF HQ. Bought enough snacks for me and the Junior General to sink a ship! And looking forward to a trip to Plymouth tomorrow to cause some havoc, DRF stylee! BT Sport have a dedicated Youtube channel which will show it free of charge. How many Scousers actually support Liverpool? Captain Wankspam definitely isn't one Reg. Cheers Harve, yes found it earlier, out to get a bottle of wine in a bit, other half going out - it's shaping up for a good evening. Is he a Liverpool fan? I've never seen him state that as a fact. And he's not the sort of person to keep it quiet. 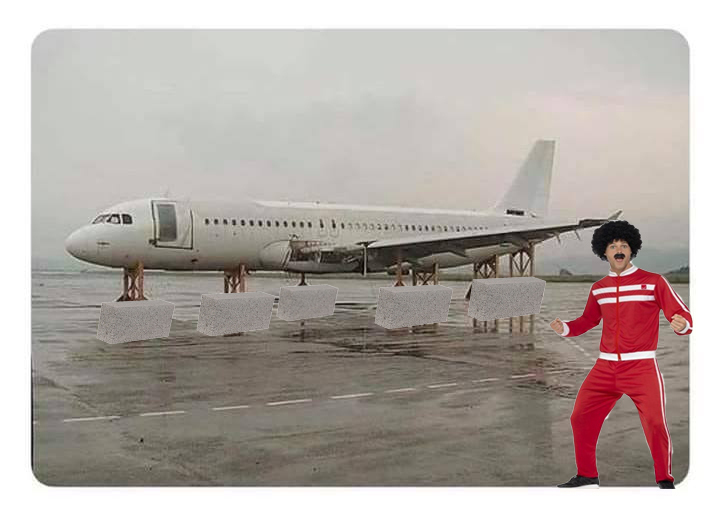 The real reason those supporters planes were cancelled! The bideford wonderboy is NOT a Liverpool fan. Derek needs to get onto Bales agent in the morning, clearly he's not happy at Real, come on Jimmy get yer money out. Sure hope Argyle don't try to sign that fecking goalkeeper. Deh do doh dont deh!!!!! well done Real Madrid. The Pope will be happy! Might compensate for the Irish referendum for awhile. No someone at work found this online a couple of weeks ago. (I can't find it to link). In 1981 an English Prince got married. Liverpool won the European Cup. In 2005 an English Prince got married. Liverpool won the Champions League. In 2018 an English Prince is getting married. Liverpool are in the Champions League Final. The Pope is shitting himself! feckin brilliant. I haven’t laughed so much for a long long time. Sat in a bar watching that Comedy show from the keeper. What was tragic was the level of devastated plastic Plymothian Liverpool fans in the bar crying into their beer. Not a single scouse accent between them. Sad wankers. Pope is now like...’yeah feck u motherfuckers’.